I have now published my new book, Joining The Dots, which offers a fresh look at the Atlantis mystery. I have addressed the critical questions of when, where and who, using Plato's own words, tempered with some critical thinking and a modicum of common sense. Krakatoa, the Indonesian volcano that erupted so violently in 1883, produced many recorded effects that are frequently used as yardsticks when discussing the possible consequences of similar events in the past, particularly the second millennium BC destruction of Thera, a leading contender in the Atlantis stakes. The Krakatoan eruption had a detrimental effect on global climates for some years. strongly that the mid-6th century range of catastrophes were caused by a cometary impact. 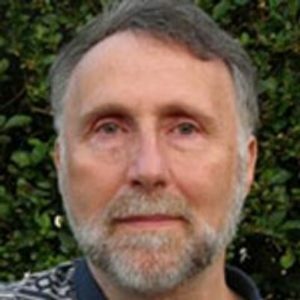 Five years later Baillie co-authored with Patrick McCafferty another book linking comets with Irish mythology, The Celtic Gods, in which they point out that Keys’ proposed huge eruption has not been reflected in any of the various Greenland ice cores in the form of a volcanic-acid spike[0112.164]! This debate regarding the cause of the global catastrophes in the mid-6th century would appear to be far from over. A 2015 report(f) suggests that a series of North American volcanic eruptions in 536 AD had such a detrimental effect on the climate of Europe that it contributed to the final demise of the Roman Empire. Furthermore, there is now evidence(g) that the eruption of the El Chicon volcano in Southern Mexico around 540 AD led to the disruption of the Maya civilisation. Matthew Toohey from the GEOMAR Helmholtz Centre for Ocean Research in Kiel, Germany, has suggested the possibility of a double event! Early in the 19thcentury the eruption of Tambora, also in Indonesia, was even more powerful(a). 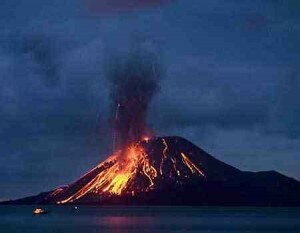 However, the most violent eruption of the last two million years also took place in Indonesia 74,000 years ago, when Mt. Toba erupted with devastating consequences for the Indian sub-continent and further afield(b). The Toba caldera is now Lake Toba. A recent study suggested(c) that the Mt.Toba event led to the near extinction of humans. The Theran eruption was equivalent to the 19th century Krakatoa event when measured according to a volcanic explosivity index (VEI), based on quantitative criteria, as discussed in Walter Friedrich’s book on Thera. Today, when we watch the 20th century eruption of Mt. St. Helens or the Montserrat volcanoes on our televisions, it gives no real notion of the incredible power of these events or the absolute terror that was experienced by those living close by.